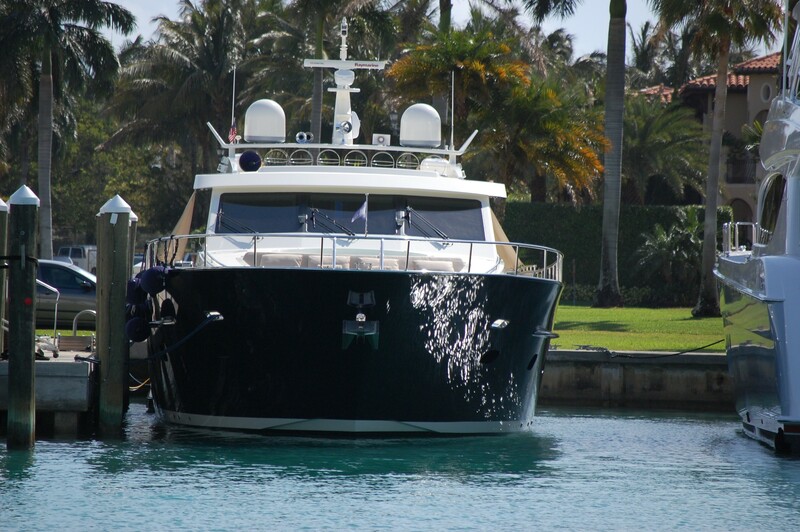 Motor yacht PARADISE is a 24.5m (80ft) charter yacht built by the Dutch shipyard Wim van der Valk in 2010. 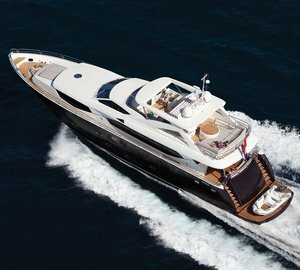 At the time of her launch in late 2010, M/Y PARADISE was Wim van der Valk’s largest build to date. 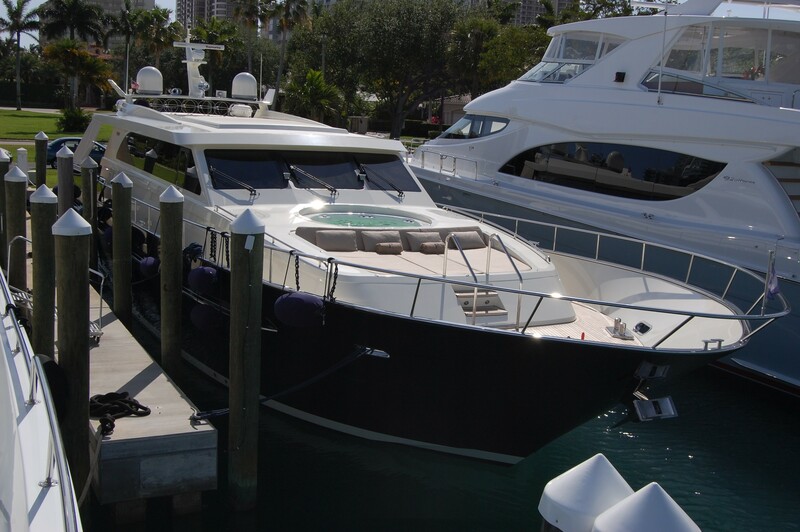 Yacht PARADISE is built in steel and is a semi-displacement yacht that is able to accommodate up to 6-8 charter guests. 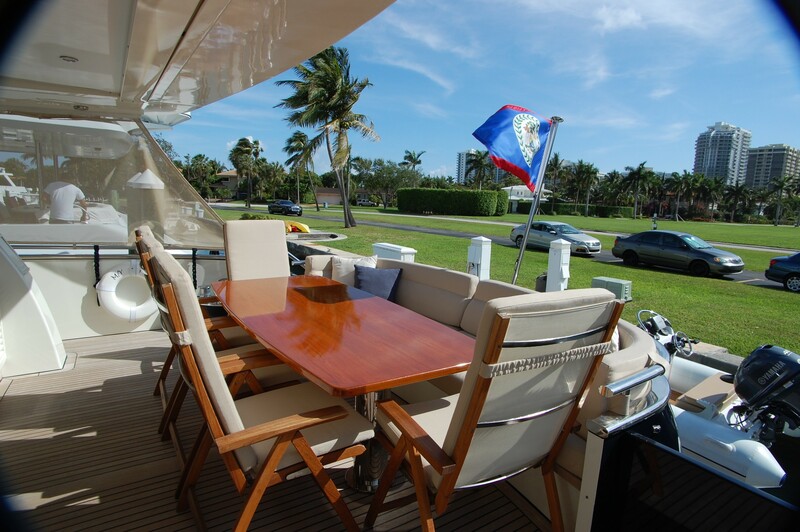 The luxury motor yacht PARADISE is the perfect charter yacht for families with children or a group of friends seeking an active adventure cruise through the islands and the crystal clear waters of the Bahamas or the Caribbean. 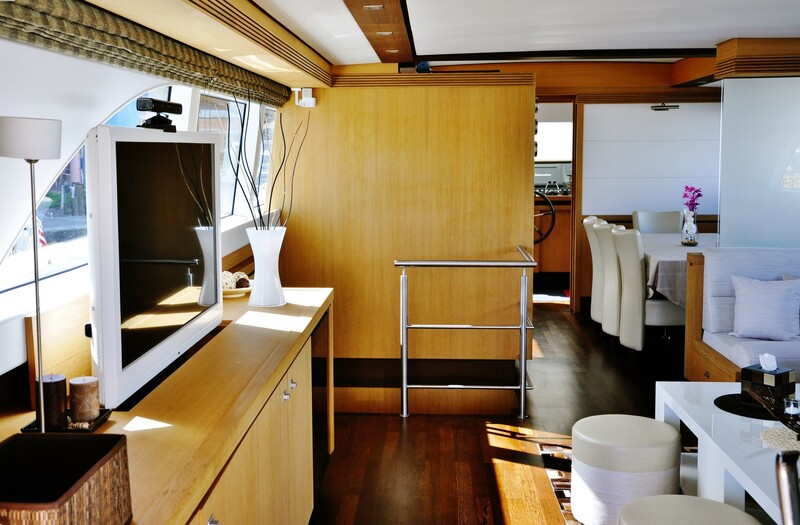 Yacht PARADISE has a lovely main salon that is coloured in monochromatic tones with an excellent choice of décor that compliments the dark wooden sole and pale cabinetry. 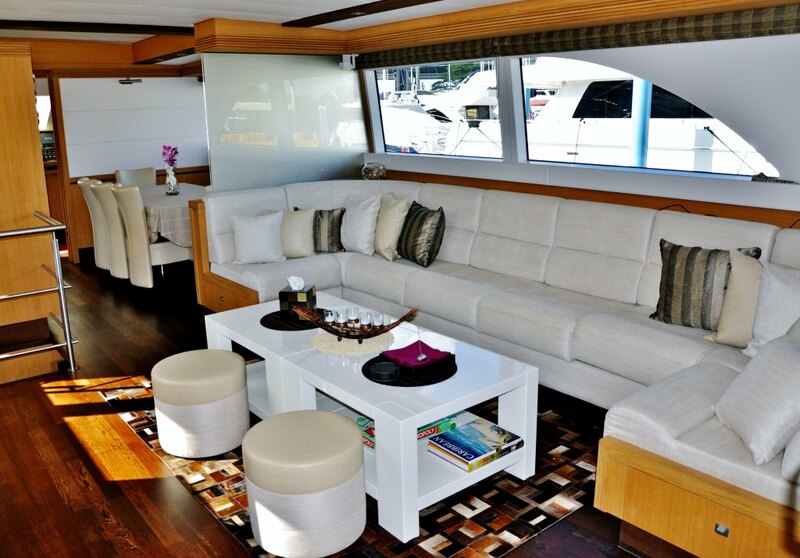 The salon features a custom designed oversized couch that extends along the starboard side of the yacht. To the port side there is a sizable TV that conveniently retreats into the cabinet to create a buffet space. Further forward there is a formal dining area. 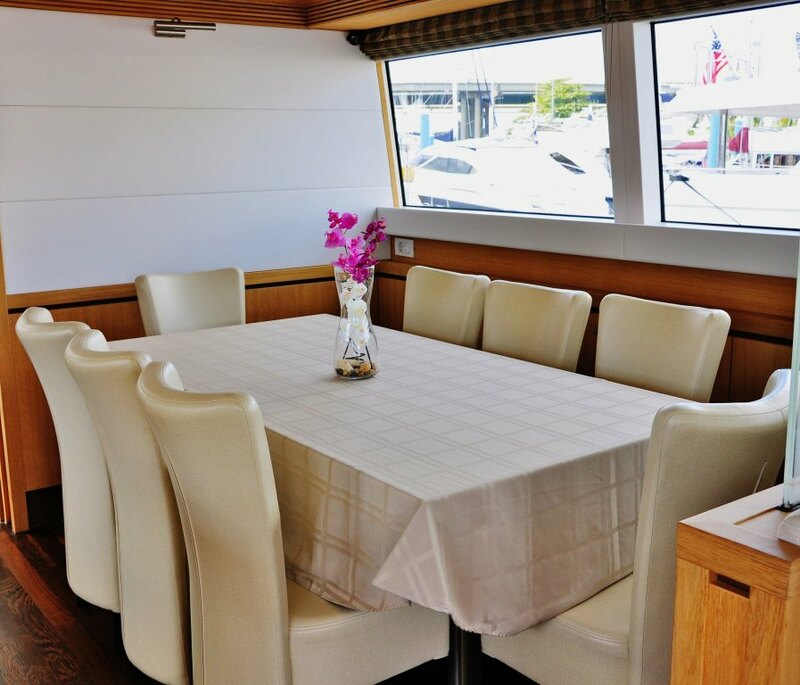 The entire main deck has large oversized wrap around windows that provide plenty of natural light. 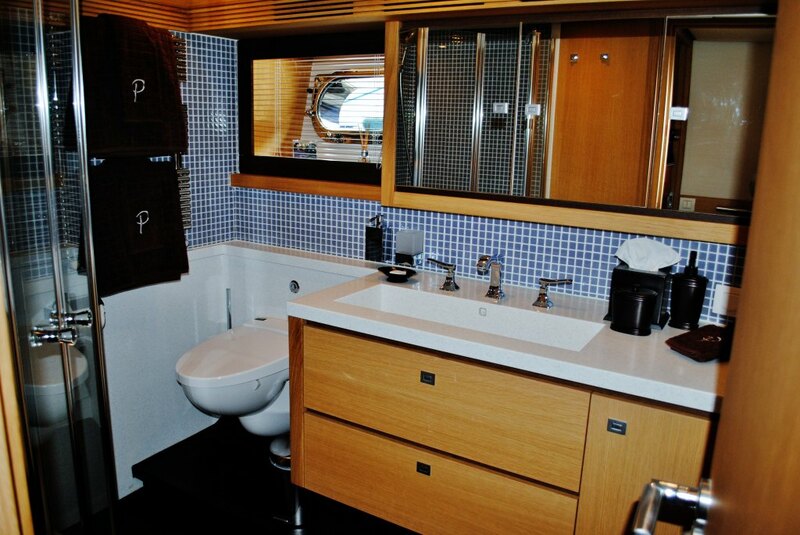 The luxury yacht PARADISE is able to accommodate up to 8 guests in 4 cabins located on the lower deck. 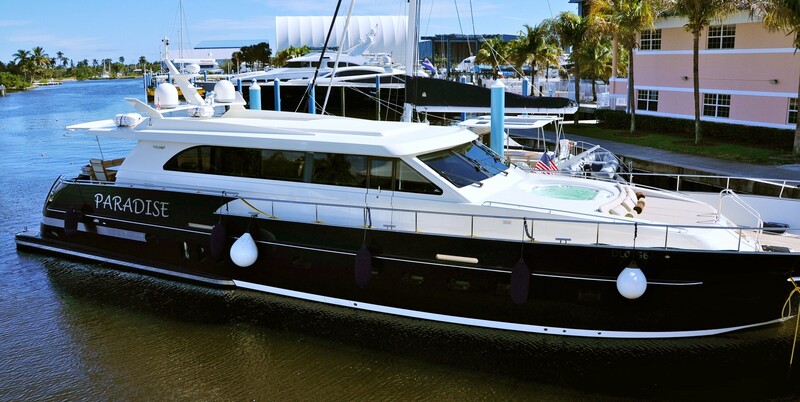 The full-beam master suite is located aft and boasts large portholes with snap on mosquito screens to enable fresh air to circulate the cabin if preferred over air conditioning. 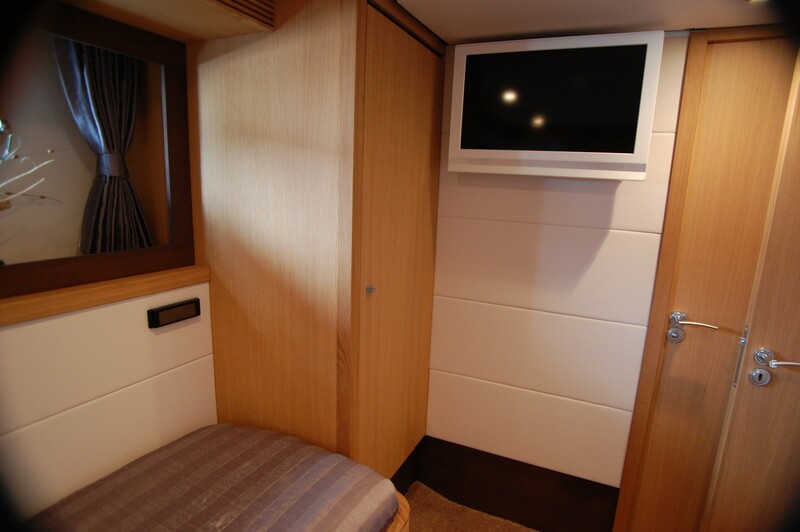 The VIP features a walk-around queen bed and ample storage. 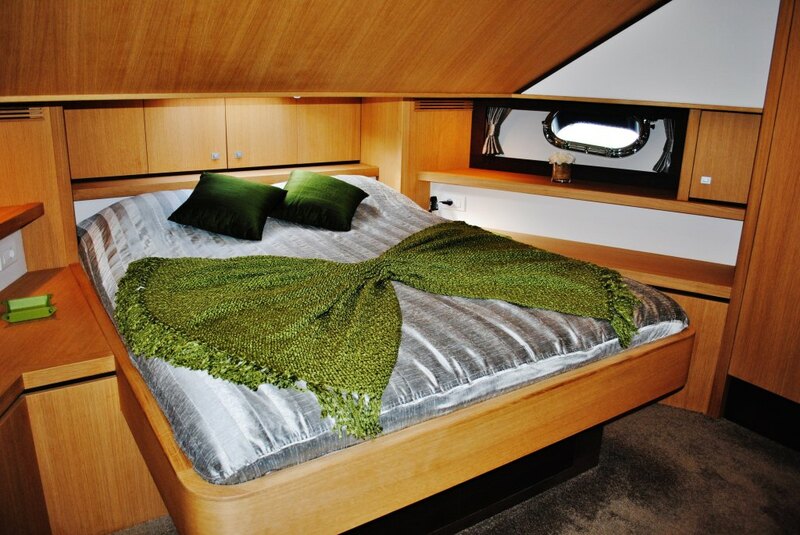 There are two additional guest cabins with twin beds that are perfect for children or single guests. Three of the four guest cabins have ensuite facilities while the fourth cabin has direct access to the day head. 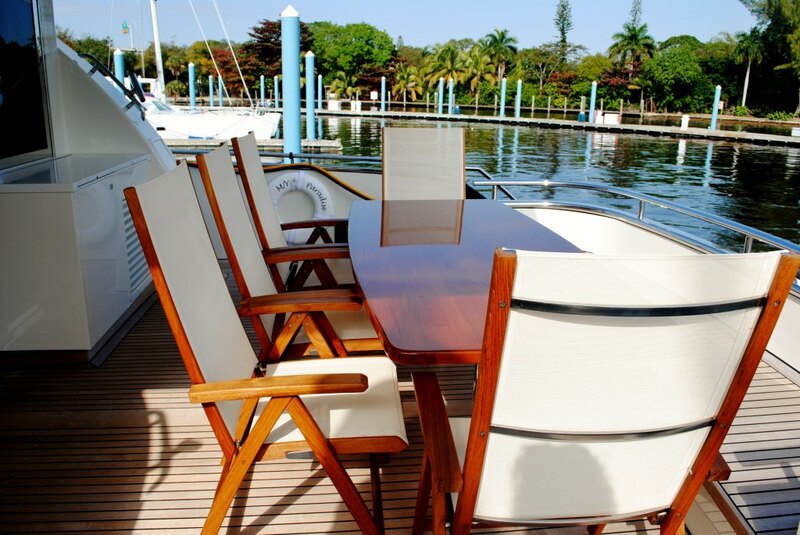 Crewed charter yacht PARADISE has great outdoor spaces with a well-appointed aft deck that has an al fresco dining table, barbeque, fridge and sink. 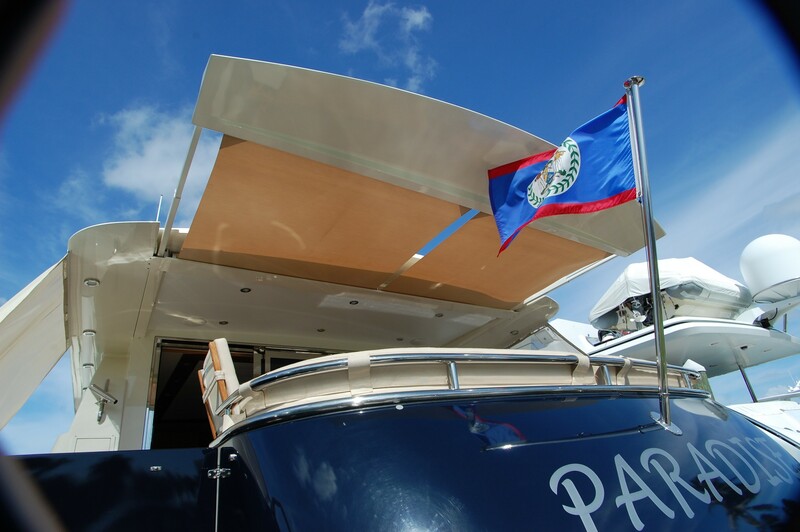 There is also a hard bimini that fully extends to provide protection for guests from the elements and is also equipped with side and aft shades in the event of bad weather. 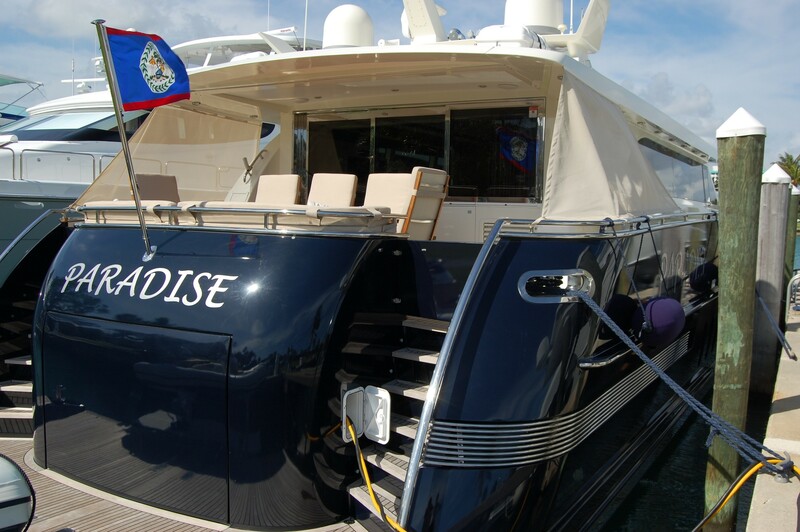 The motor yacht PARADISE features wide walk around decks that have hand rails above the meter mark thoughtfully installed to protect and assist younger guests as well as adults. 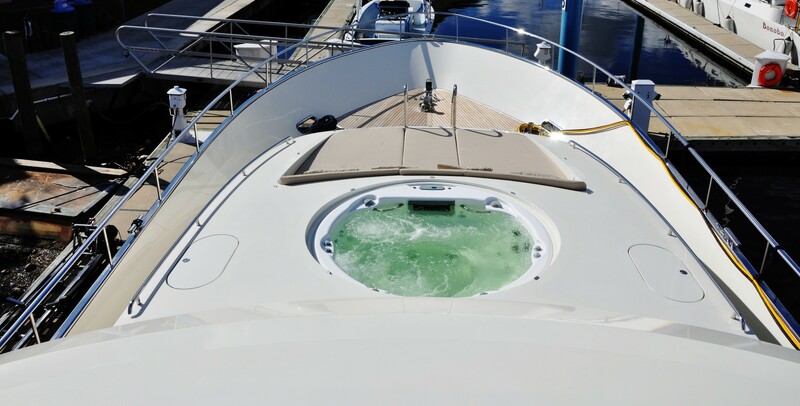 The PARADISE yacht also has a foredeck that boasts a Spa Pool and a sun pad seating area. 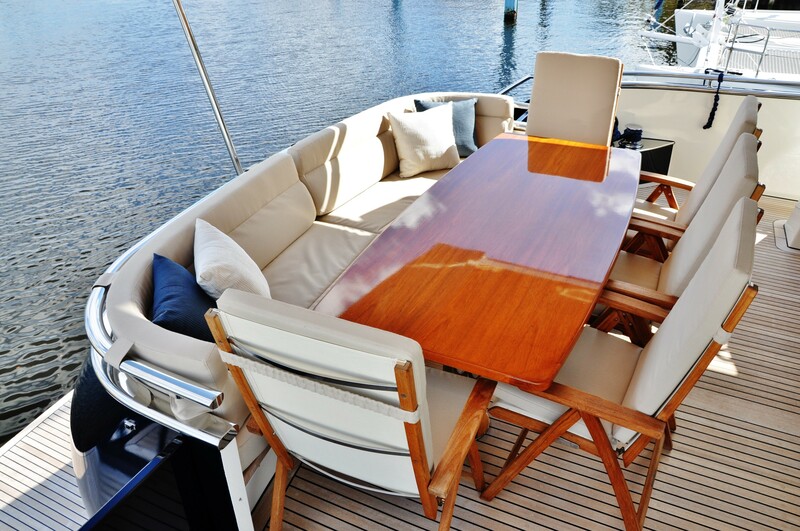 This is the prime place for a bit of relaxation and sun worship, equipped with a state-of-the-art stereo system. 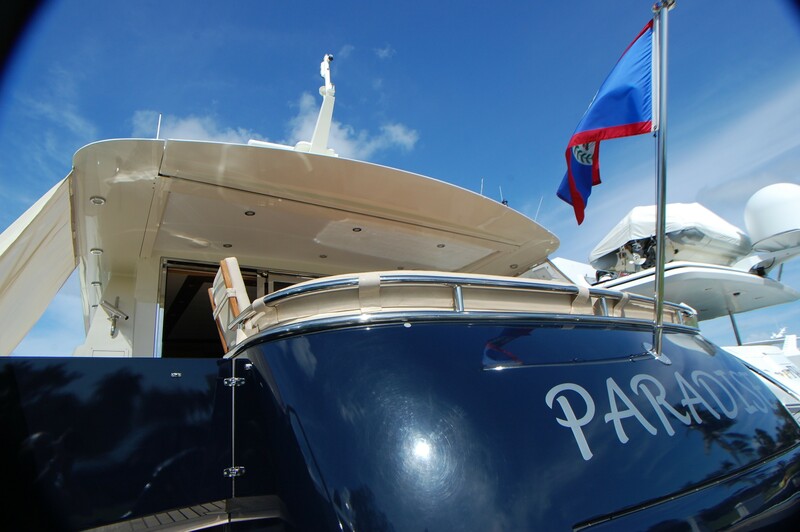 The luxury motor yacht PARADISE is the perfect charter yacht for families with children or a group of friends seeking an active adventure cruise through the islands of the crystal clear waters Bahamas or the Caribbean. 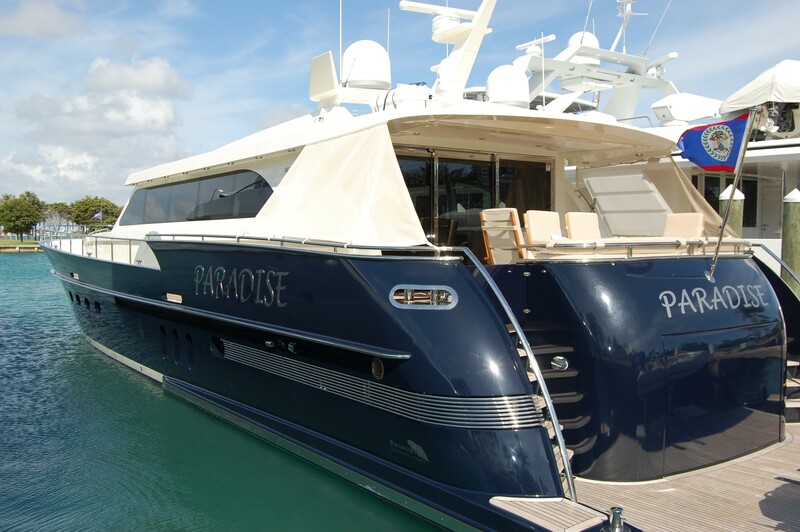 PARADISE is an ideal charter yacht for both families and groups who enjoy fishing, snorkeling, land excursions and explorations. 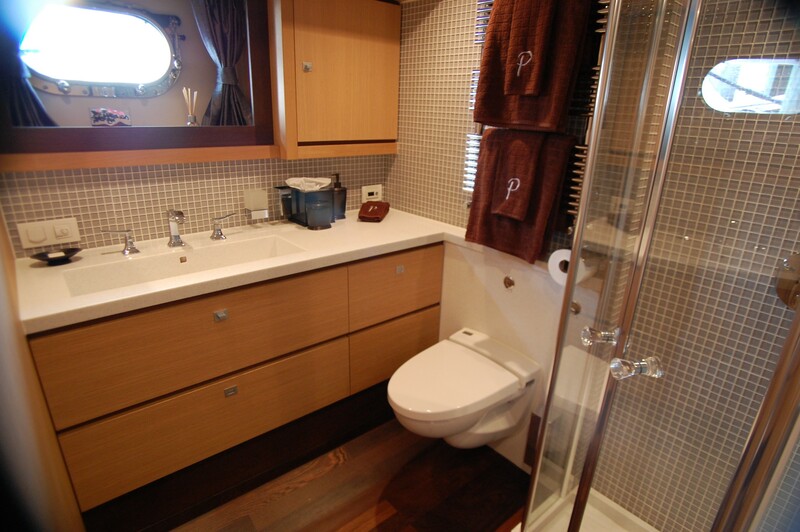 The luxury yacht PARADISE is able to accommodate up to 6-8 guests in 3-4 cabins located on the lower deck. 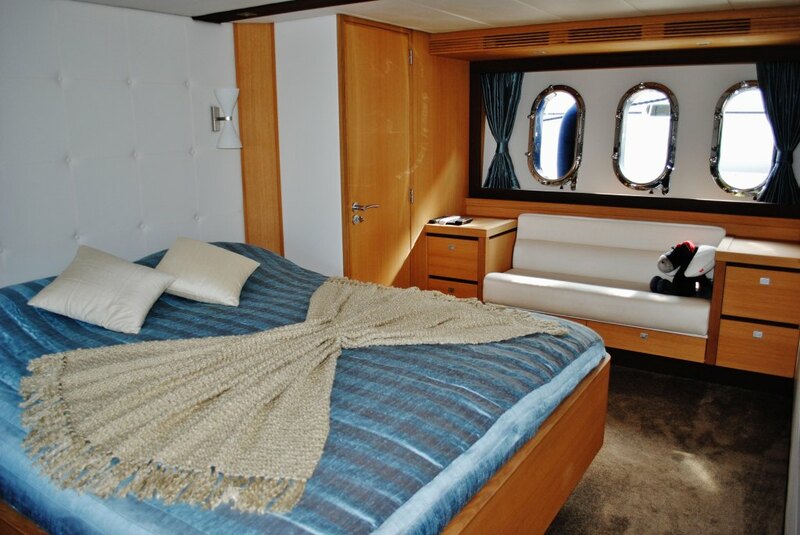 The full-beam master suite is located aft and boasts large portholes with snap on mosquito screens to enable fresh air to circulate the cabin if preferred over air conditioning. 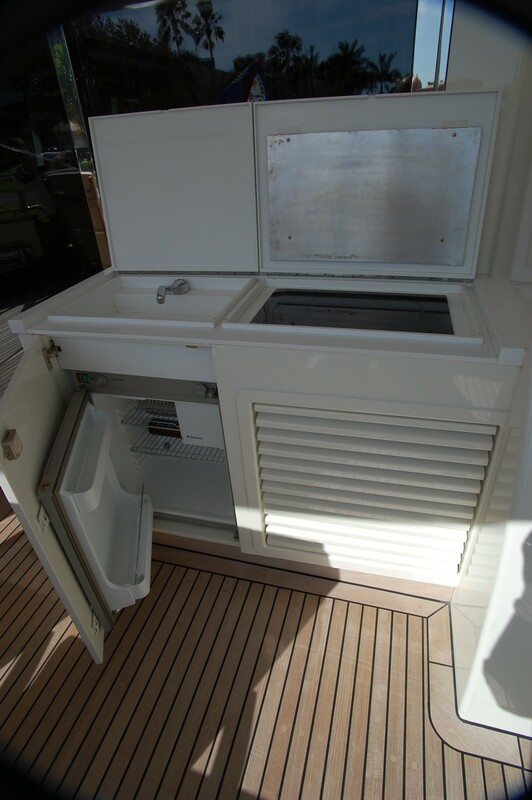 The VIP features a walk-around queen bed and ample storage. 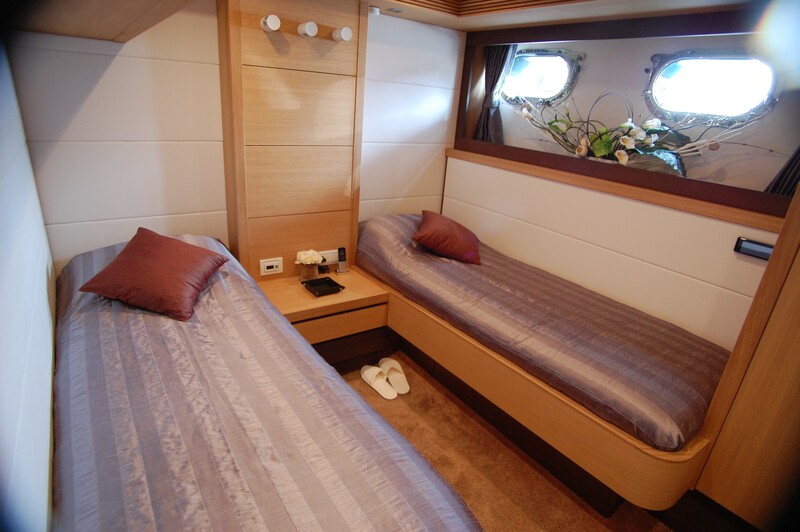 There are two additional guest cabins with twin beds that are perfect for children or single guests. 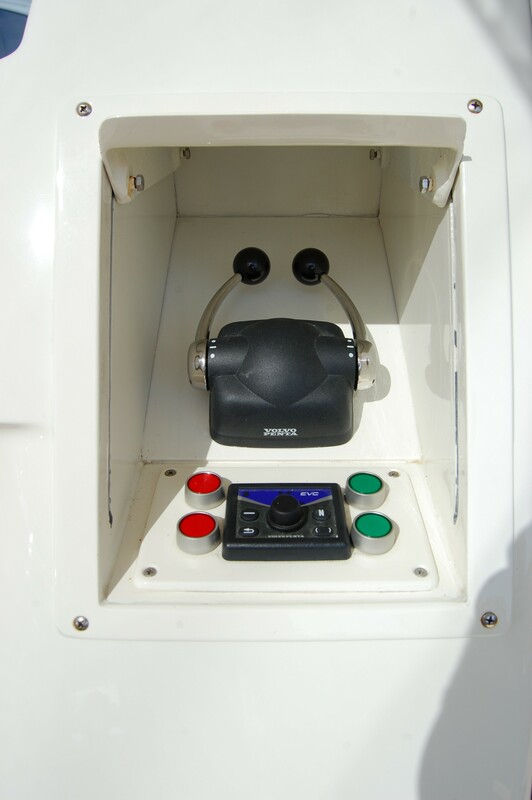 Three of the four guest cabins have ensuite facilities while the fourth cabin has direct access to the day head. 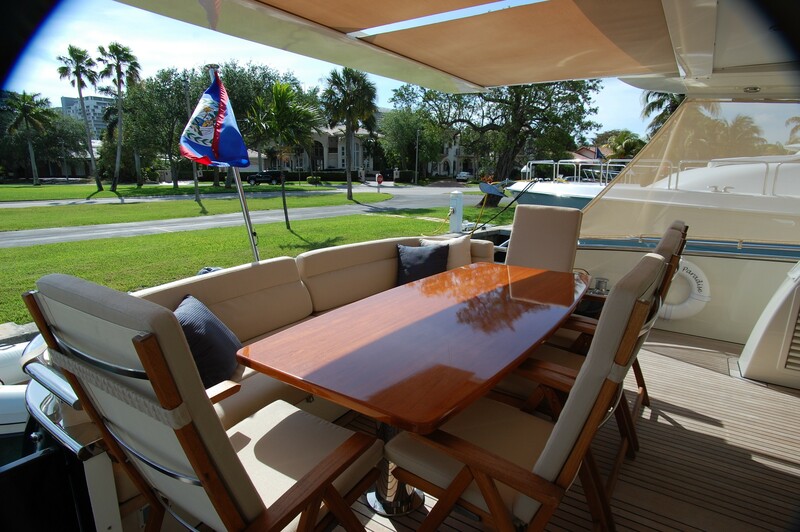 Charter yacht PARADISE offers the following WATER SPORTS TOYS: A 12 foot Nautica 40hp outboard Adult/Child Wakeboards, Adult/Child Water Skis, Fishing Gear, Inflatble Tow, 2 Man inflatable kayak, Spear gun, Snorkeling equipment.